users to get additional information. 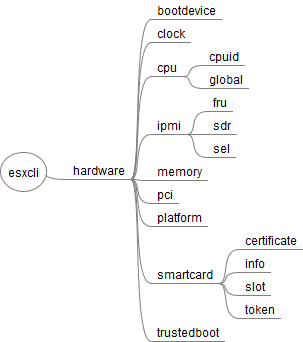 (RDMA) protocol stack on an ESX host. Very cool, I like it a lot. Did you automate the creation of this or type it? Thank you. 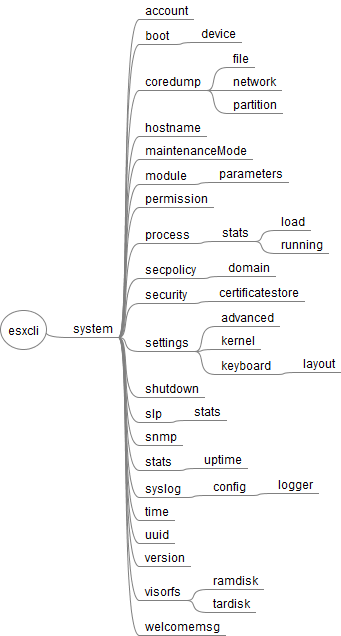 It's created with esxcli csv output + Excel + FreeMind. FreeMind can import Excel spreadsheets. 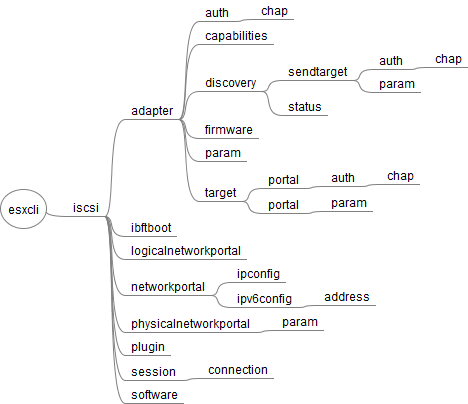 Are you aware of any method to create a mindmap of PowerCLI commands? 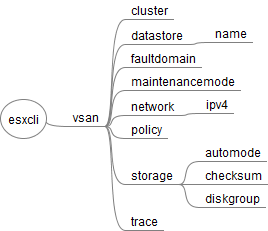 However, you can get a list of all commands with "Get-Command -Module VMware*". Feel free to explain what structure you are expecting and I will see if it's possible. fgrehl, there are just so many cmdlets available, it's a bit overwhelming at times when trying to find the command I need to execute the idea of what I would like to accomplish. I realize the VMware cmdlets and POSH in general is much more dynamic; however, some of it is still very static. I was thinking if there was a way to take all available cmdlets and expand all properties, methods, parameters, arguments, etc. It would be lengthy list but an easily searchable one as well. Similar to the cmdlets outlined in Reference Posters. Just with more detail. Unfortunately not everyone has access to PowerCli all of the time. I am familiar with PowerCLI and in my environment I am not allowed to use it. So this is very helpful and very useful. Thanks it is awesome.